Gung Hay Fat Choy!! So goes the traditional Chinese New Year greeting, wishing peace and prosperity. Also called the Spring Festival or Lunar New Year, the Chinese have long celebrated this period marking the end of winter and the hope of a new spring. The New Year begins on the first day of the first lunar month and ends two weeks later. It is a time for family, friends and food. 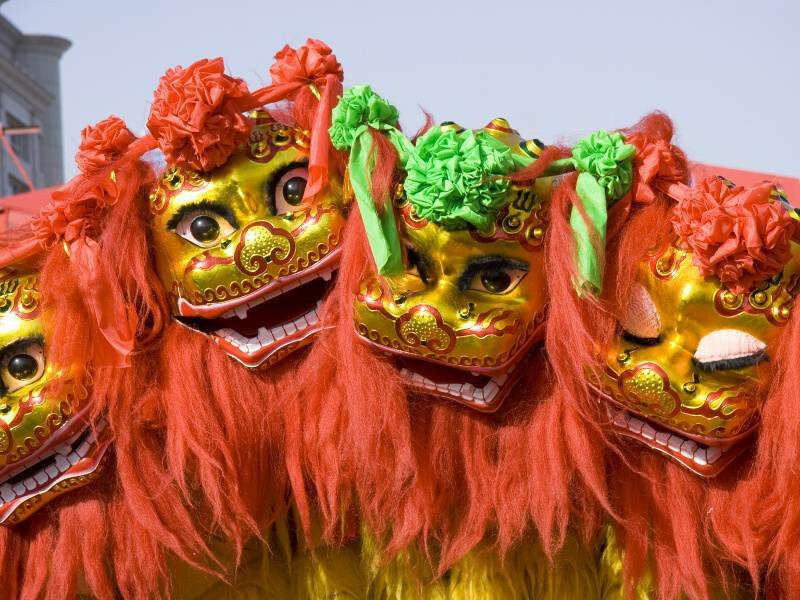 The first day of Chinese New Year in 2019 is February 5th. Many traditions, symbolic and superstitous, surround the festival. Houses are cleaned in preparation so as to start the new year fresh. Rooms are filled with fresh flowers and tangerines, oranges, pomelos and kumquats — all considered lucky. A tray of eight traditional candied fruits, nuts and seeds is offered in many homes. Red — a very lucky color — is a favorite for clothing and decorations. Little red envelopes — hong bao (Mandarin) or lai see (Cantonese) — with a money inside are given to children as gifts. A large family banquet is served on New Year's Eve. Foods are served whole — whole fish, chicken with feet and head still on, noodles served uncut — to symbolize prosperity and abundance. At midnight the sounds of firecrackers and the smell of gunpowder fills the air. New Year's Day meals are often meatless and sometimes consist entirely of leftovers from the night before. But the remaining days of the Festival see all kinds of rich and tasty meals. The seventh day of the festival is considered the birthday of all people. Traditionally every Chinese added one year to his or her age on this day and ate noodles to ensure longevity. The last day of the two-week celebration is the Lantern Festival, when children carry red lanterns in a joyous procession. It is also the time to see the famous and fabulous Dragon Dance.